Will NK leader use Chinese plane or his own to fly to Vietnam for Trump summit? 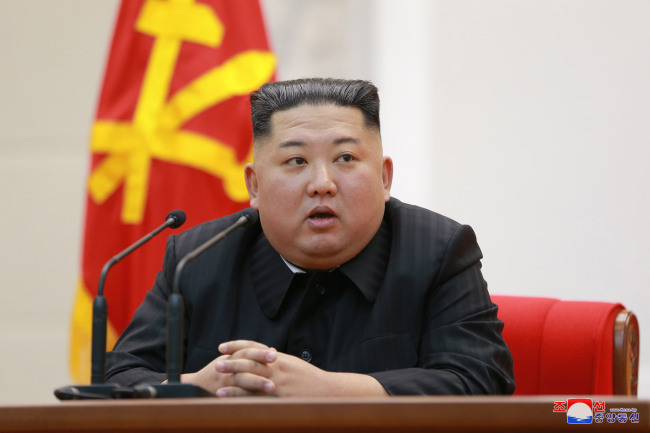 North Korean leader Kim Jong-un flew to Singapore on a rented Air China plane, instead of his aged official jet, last June for his first summit with US President Donald Trump. What he will use to travel to Vietnam's Hanoi for a second meeting with Trump is a point of speculation that will likely remain a mystery until his arrival there. Many say Kim is likely to fly on the state jet, codenamed "Chammae-1," this time because the distance of travel, about 2,760 km, is only slightly more than half of the 4,700 km flown last June, and the Soviet-era jet, even if it's aged, can sufficiently cover the flight. But others say that Kim could rent a plane from China again if he places priority on safety. Some even suggest that he could use his special train to travel all the way to the Southeast Asian nation through China for the Feb. 27-28 summit, just as he traveled to the neighboring nation by train last month, noting that Vietnam also has the same rail specifications as North Korea. Kim's grandfather and national founder, Kim Il-sung, traveled by train to Vietnam twice in the 1950s-60s. The North's state jet, Chammae-1, which was named after the country's national bird of goshawk, is an Ilyushin-62M airliner that can theoretically fly up to about 10,000 km without stopping to refuel. The North's national flag-carrier, Air Koryo, uses the model. The Chammae-1 was used when the leader's sister, Kim Yo-jong, flew to Seoul to attend the PyeongChang Winter Olympics in February last year. Leader Kim also used the aircraft when he visited the Chinese city of Dalian for talks with Chinese President Xi Jinping in May last year. It was also flown to Singapore last June to transport North Korean officials accompanying Kim. Experts said at the time that Kim chose to fly the rented Chinese plane in apparent consideration of safety. The Air China plane, Boeing 747-400, has reportedly been used by top Chinese officials for overseas trips.